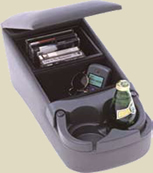 • Arm rest folds forward exposing an oversized 8.5" x 11"
expensive and hard to store plastic pods. (39" x 32" x 18”), 13 CuFt. (54" x 48" x 20"), 20 CuFt. 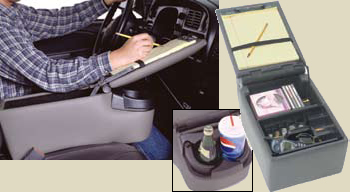 This storage system is designed for complete weatherproof protection of your cargo. straps to your existing roof rack.